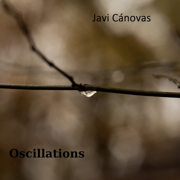 Javi Canovas is an instrumentalist with the sensibility of an engineer, and a genius for the language of space. If you know his works, then you can probably imagine how lively his mind must be. 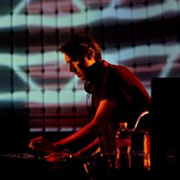 His album Oscillations (52'55") benefits from our deep study. This work, revealed moment by moment, exhibits a confident sense of superior craft. Including two affecting meditations on cosmological travel, Oscillations is richly imagined and superbly assembled. The sonic contours Canovas charts prove remarkable in this most ungovernable region of music. His supple, silvery leads dazzle the listener, beneath which motorik sequencer runs flex and recede in abrupt aerobatic complexity. Between the pulsing patterns of echoing notes and tones, sustaining synthesized triads invert, then brighten and louden, only to recede before the advancing harmony of newer textures. Decadent sounds swirl in a tempest of dream fuel, and quickly give way to the more mechanized, and calibrated, dancing of energized masses. Other narrative detours delight the mind with imaginative fluctuations in key, octave and the density of designs, all of which we may better enjoy in a subdued reverie. His work continues to be dependably listenable. Sometimes technical, sometimes spiritual, but always very personal, Oscillations poses a mutual joy in each encounter - in some indication that Canovas is a musician living between worlds.